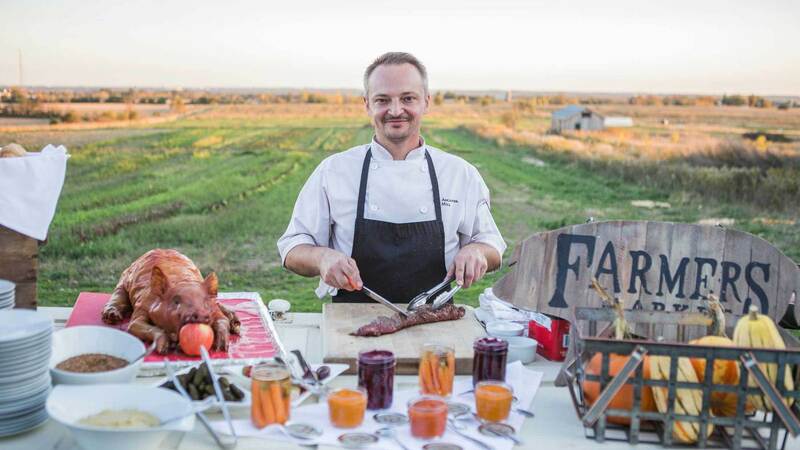 An established favourite meets a new tradition at Earth to Table: The Farm on October 19th. 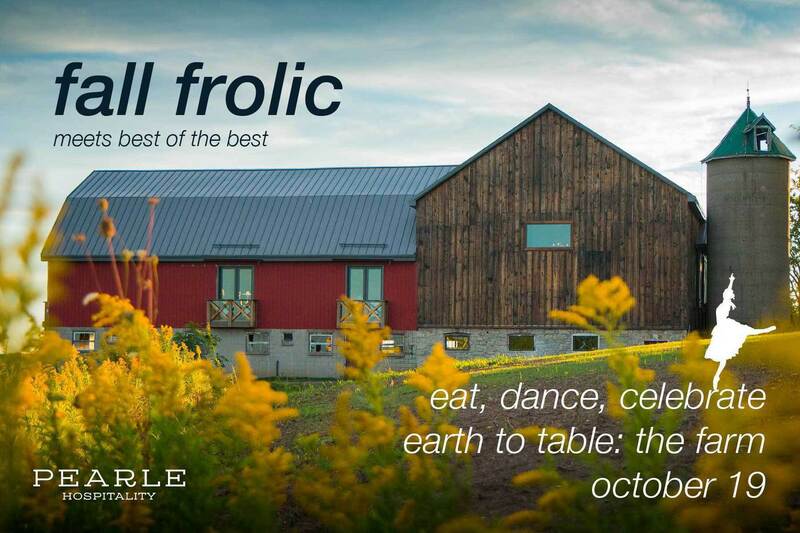 After the success of last year’s inaugural Fall Frolic, The Farm is thrilled to once again welcome guests to eat, laugh, dance and celebrate a bountiful Autumn harvest. This year’s event will feature the resurrection of ‘Best of the Best,’ a competitive culinary cook-off that will challenge Chefs from all Pearle Hospitality properties to put their best dishes forward – and you get to be the judge! The evening’s festivities will kick off at 6:30pm with a cocktail hour featuring canapé stations and a selection of premium local wines and craft beer. A seasonally-inspired meal, alternating plated appetizer and dessert courses with family-style entrées, will be then be served. Live music, line-dancing, a camp fire with late-night treats and a final elimination challenge will round out what is sure to be a fun-tastic evening. They’ll each be thinking outside of the box to serve up appetizer, entrée and dessert selections that yield the most number of votes. One by one, they will be eliminated until the final round, where the winning Chef will be determined by a mystery black box challenge. Beyond bragging rights, the winner of Fall Frolic: Best of the Best will take back to their property the prestigious gold plate. Of course this delicious fun-filled 2nd edition of Fall Frolic could not be possible without the continued efforts of The Farm team (pictured above). Their dedication to producing vibrant, tasty, nutrient-rich vegetables, fruits and herbs to serve the local community – and Pearle Hospitality restaurants in particular – has required months of incredible hard work, patience, research and love. 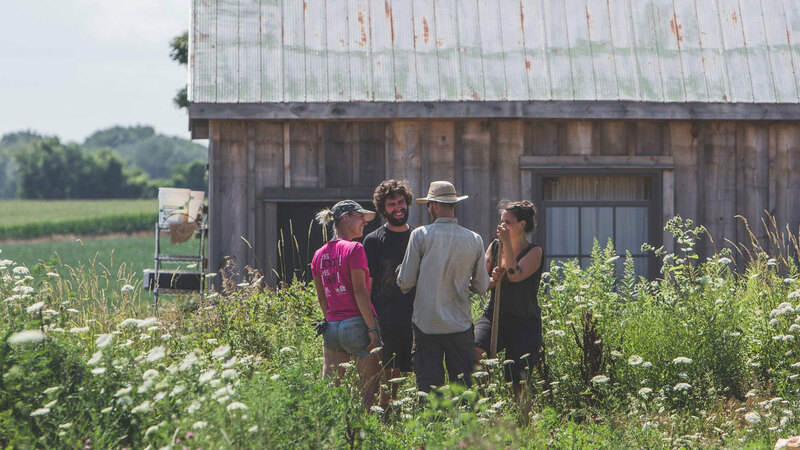 The Farm is a unique place that truly celebrates all that is good about food. 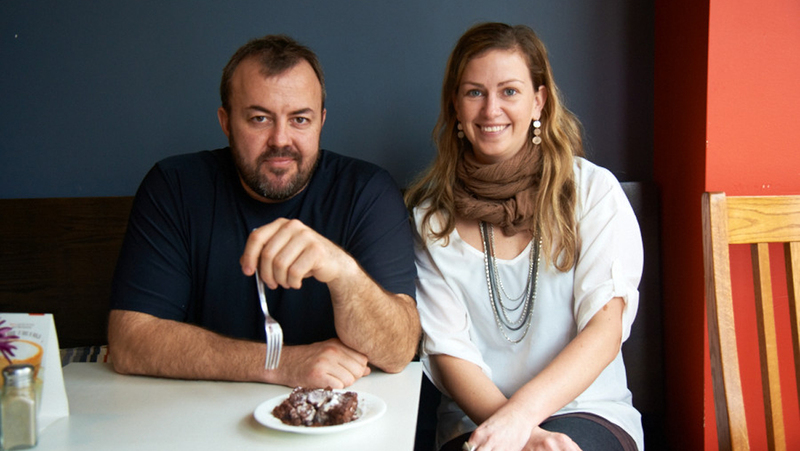 It is also a tremendous source of inspiration for Bread Bar founders Jeff Crump and Bettina Schormann. Their second cookbook, Earth to Table Every Day, focuses on turning the bounty of the seasons into approachable everyday recipes. This exciting new release will be available for purchase at Fall Frolic for $30. Jeff and Bettina (pictured below) will be at Fall Frolic signing copies. What is included in the ticket cost? Please email fallfrolic@pearlehospitality.ca to reserve tickets. Confirmations will be sent out a week prior to the event, with a credit card payment option available at that time. If you would prefer to pay the night of Fall Frolic, we recommend bringing cash. Come ready to eat, laugh and dance in your favourite farm attire because it’s sure to be a boot-stomping, line-dancing, frolicking good time!